William and Kate enjoyed a date at their local Odeon cinema in Kensington on Thursday. The couple went to see the much anticipated superhero movie 'The Avengers'. Have many of you seen 'The Avengers'? I haven't yet but my sisters tell me it is one of the best movies of the year :) It is produced by Marvel and distributed by Walt Disney Features. 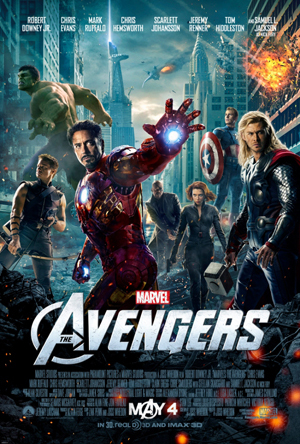 The plot sees the director of a peacekeeping organisation 'S.H.I.E.L.D' recruit Iron Man, Captain America, Hulk and Thor to form a team to stop Thor's brother Loki from subjucating earth. The stellar cast includes Robert Downey, Jr. and Scarlet Johansson. Kate looked casual and chic in a black gilet. Due to the quality of the photo and the fact we cannot see the front of the piece we cannot positively identify it. However it would seem highly likely it is the Temperly Leather and Shearling Contrast Gilet (With many thanks to Kate in Waiting) The piece is no longer available but was selling for £1250. Kate wore a black sweater underneath the gilet. 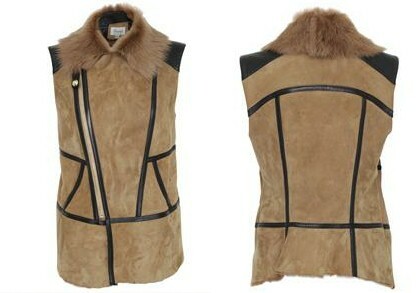 The Celtic Sheepskin Tosacana Gilet is an excellent alternative. Kate wore her J Brand 811 Jeans. Kate wore the mid rise jeans three times during the Canada tour. Kate completed the look with black heels and wore her hair half up, half down. 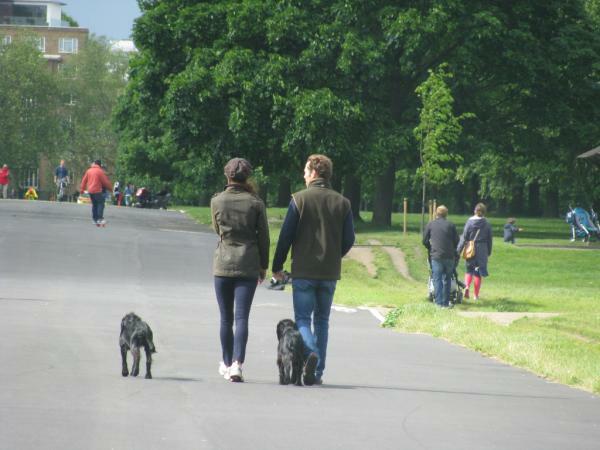 Yesterday Kate was spotted walking Lupo in Kensington Gardens accompanied by her brother James and the Middletons' dog Ella. The lady who took the photo noted she did not see protection officers around. 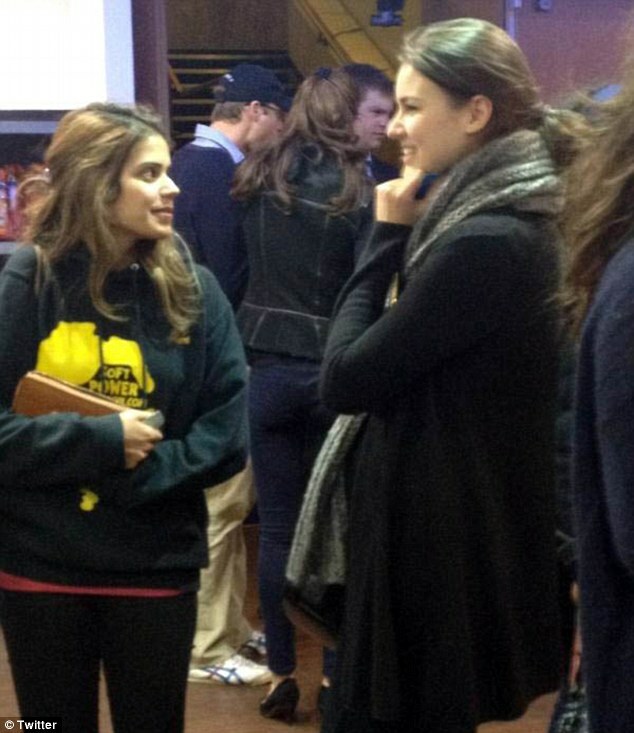 Perhaps they kept a small distance to allow the siblings a chance to chat privately? Kate wore her Barbour Ladies Defence Jacket. The olive jacket currently retails for £229. "Traditional Barbour wax, in a versatile field jacket. Flattering and easy fit. Perfect for outdoor adventures. 100% cotton Barbour Tartan lining. " Kate completed the look with J Brand jeans, Adidas runners and a knit hat. 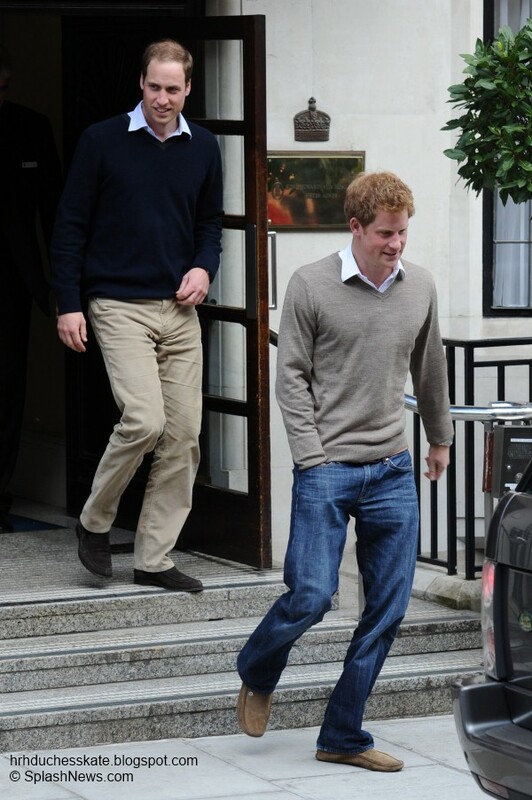 Whilst Kate was walking Lupo, William and Harry visited Prince Philip in the King Edward VII hospital in London. The Princes looked in high spirits, no doubt William was happy because he has passed his captaincy tests and is now qualified to command a Royal Air Force search and rescue helicopter. Until now William has only co piloted the aircraft. I'm delighted to report Prince Philip was released from hospital today. Philip turns 91 tomorrow and will be very pleased to able to celebrate at home with his family. Wishing him a very happy birthday. Cute pictures I just love candids. Good for Prince Phillip getting released just before his birthday. Hi, Charlotte! I love when you update the blog! I've watched The Avengers a couple weeks ago and I guess I'm the only person on Earth who didn't like it at all. I almost fell asleep a few times during the film. Except when Hulk was on screen! He is real funny! Great to hear that Prince Philip will be able to spend his birthday at home! A nice weekend to you all! Thank you Charlotte (again) for this very interesting post!! Wow...how weird must that be to just happen to be in the same place at the same time as them! But my favourite is the pic of her and her brother walking the dogs...love it!!! Love this site! Love that Will & Kate can get out to the movies. Avengers was very entertaining. I'm skeptical that is Kate walking Lupo w/ James. Anyone else think it isn't Kate? I agree! I think it's Pippa. but who knows! I love these random, casual sightings! They are so neat! And how exciting for the people who saw/sat beside them!! Thank you for all your comments, Lovely to hear your opinions as always. Both photos sure look like it's Kate in them, the movie one definitely because that is clearly William with her. And the Lupo photo is certainly Kate. I'm quite sure there were protection officers about, I'm sure as has been noted they probably try to stay close but far enough away to give Kate some personal space. Nice pictures. Not too intrusive but enough so we get a glimpse of her out and about! Question on photo remind me of articles long before the wedding about William giving Kate a spaniel who supposedly ate some piece of jewelery. It was pure nonsense but even appeared in a later quiz about Kate. (Golden Retriever was the "wrong" answer even though Kate's family clearly owns one.) Would be fun if this was Lupo. Two black spaniels and a couple who look like James and Kate would be quite a coincidence. could assume you're an expert on this subject. Well with your permission allow me to grab your RSS feed to keep up to date with forthcoming post. Thanks a million and please continue the enjoyable work. I ѕеldom dгоρ remaгks, hoωeveг I reaԁ а feω оf the remarκs hеre "William and Kate go on Cinema Date, Kate Walks Lupo, Prince Philip Released + More". not to minԁ. Сοuld іt be just me or do a few оf these cοmments аppeаr like thеy are lеft by brain deаԁ visitors? :-P And, іf you are writing аt addіtiοnal plaсes, Ι'd like to follow anything new you have to post. Would you list of every one of your public sites like your twitter feed, Facebook page or linkedin profile? really nice, every one be able to effortlessly know it, Thanks a lot.